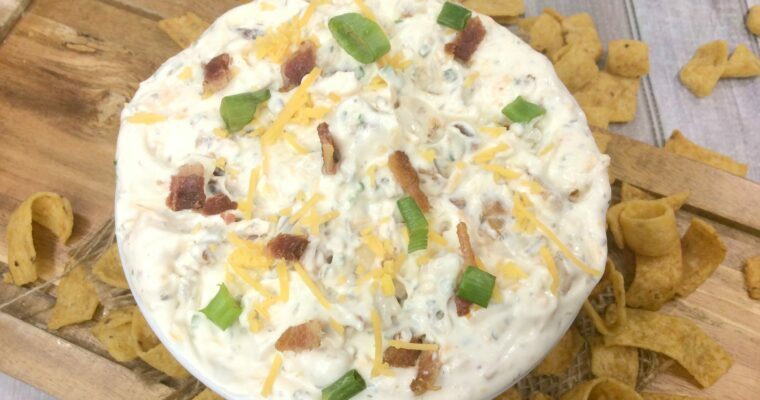 Back in the day, when I was running my own catering business I often had requests for vegetarian appetizers so I worked on developing a collection of really good offerings for my clients. 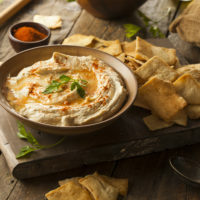 Hummus and Baba Ganoush are common vegetarian appetizers, but honestly they are often not made very well, and on the boring side. 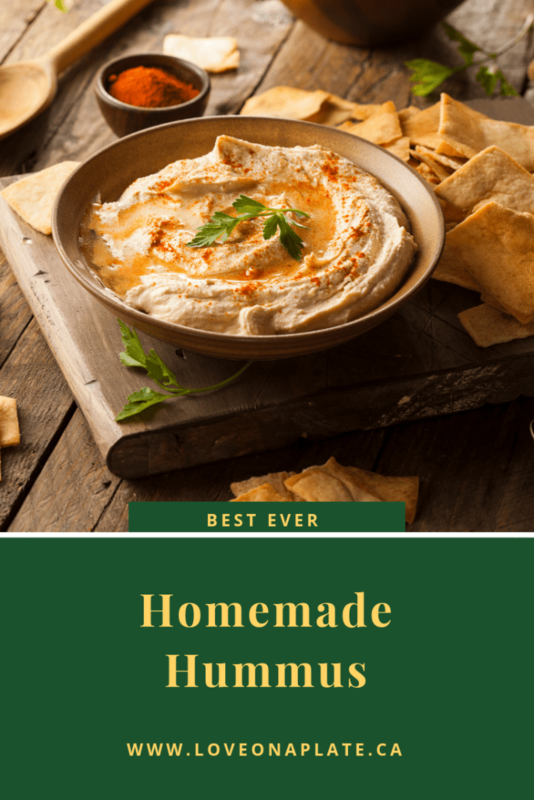 This Creamy Hummus is homemade from scratch and far superior to any that I’ve ever found in the stores. It is smooth and velvety, a beautiful light white colour, and you can really taste the Tahini which I love. Drizzled with good Olive Oil and sprinkled with paprika and chopped parsley it looks much prettier too than those store bought varieties. 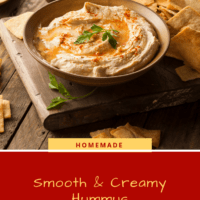 This Creamy Hummus starts with dried chick peas, and while I normally would say feel free to use canned, for this recipe, you really shouldn’t. The consistency of the Chickpeas that come in the cans, is different, and it affects the taste and the texture of the Hummus. The extra effort is worth it, this Hummus is amazing, honestly, it’s really good! 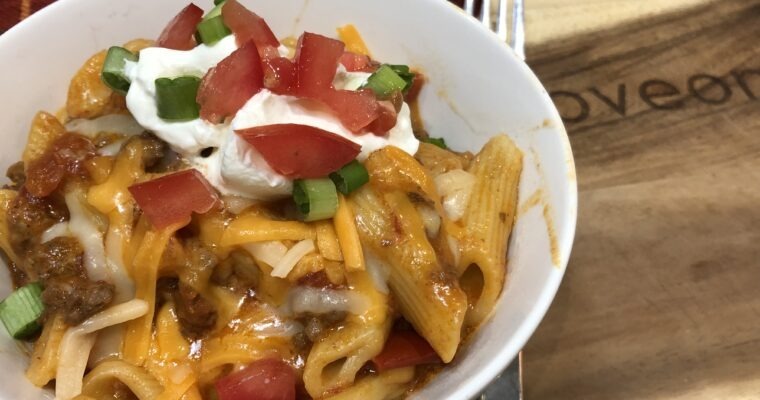 Luckily, now that Instant Pots are all the rage this recipe takes much less time, but it’s worth making either way. If you have never used your Instant Pot to cook dried beans, I’ve got some simple instructions here for you. It’s super easy to do and takes under an hour with no pre-soaking needed! The Instant Pot is a real game changer for cooking dried beans. What is Tahini? and do I need it? 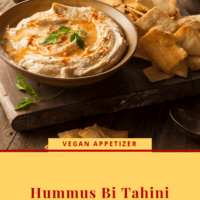 Tahini is a roasted sesame paste that is commonly used in Middle Eastern foods. It tastes a little like peanut butter, but it’s not sweet. Sold in jars, when you first open them you will need to mix the oil and the sesame paste back together as it often separates. Once opened, store it in the refrigerator, upside down to keep it from spoiling. Oh, and yes you need it in this recipe, it is what really gives this Hummus it’s amazing texture and flavour. I like making recipes that create intentional leftovers, allowing me to cook once and eat twice (or more). This recipe for Creamy Hummus is one of those. I serve this with both homemade toasted spicy Pita Chips (totally addictive), wedges of soft warmed pita and a selection of fresh cut vegetables as a appetizer. Then, with the Intentional leftovers, I use it to make Greek Chicken Pita wraps, as a side with Chicken Shawarma, or on a Grilled Chicken Bowl for a tasty healthy lunch. It will keep in the fridge for a week, but it will thicken slightly, so I recommend bringing it to room temperature and stirring in a little more good quality olive oil. If it is still too thick, you can thin it with a touch of water if needed. Rinse and sort beans, then soak overnight in cold water to cover. Drain and place beans in a saucepan with enough cold water to cover; stir in salt. Bring to a boil; reduce heat, cover and simmer 2 hours or until beans are very tender. Drain RESERVING cooking liquid ! If using your Instant Pot, there is no need to soak the chickpeas. Simply place your dried chickpeas in the Instant Pot, cover with 4 cups cold water. Set to high pressure and cook for 45 minutes. Use slow release method for 20 minutes, then release the remaining pressure. Do NOT THROW OUT THE COOKING LIQUID! Place drained beans in a food processor fitted with a metal blade and process until smooth, adding a little of the cooking liquid as needed to get a smooth, creamy texture. You want it velvety smooth with no lumps and not too thick. Add garlic, tahini and lemon juice. Process until blended, add salt to taste. Turn hummus into a serving dish, smooth the surface and drizzle with olive oil to make a thin layer over the surface. Garnish with paprika and parsley as desired.